Dr. Mrs Manju Jain is a Spiritual Healer working on the Jaina Method of Curing. Her spiritual healing revolves around the philosophy, “Where faith in God is an Essential element”. Her spiritual inclination and immense faith in her spiritual healing has cured incurable diseases - defying logic & science. Even doctors have endorsed her unique style of spiritual healing and the miraculous results obtained - reducing the sufferings of her innumerable patients. She has worked on cancer, psoriasis, kidney failure, tuberculosis, skin problems and many more - successfully. She has given surprising results on a patient suffering from deflection in spinal cord - thus avoiding surgery on his spinal cord. In another case, the patient suffering from throat cancer who had lost his voice - got his voice restored - due to the intense spiritual healing process of Dr. Mrs Manju Jain. She attributes these phenomenal recovery - not to any magic, but, to the immense healing powers in the 48 shlokas /mantras of Bhaktamar Stotra. 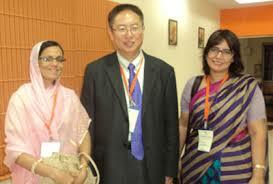 Dr Mrs Manju Jain is a managing Trustee of the Indian Federation of Spiritual Scientists ( IFSS ), based in Bangalore. 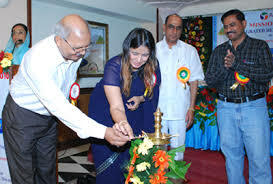 She is the Vice President of Integrated Healing Forum, Nagpur. She is associated with various spiritual Organisations and spiritually inclined persons. 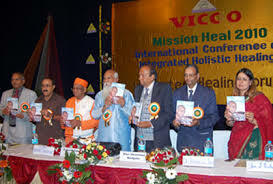 She has attended and addressed innumerable Conferences on Spirituality and related areas in India and abroad. She has written and compiled books like : Saadhak - A Journey of Divine Image - both in English and in French language; Jainism and its Antiquity; Mantra cards in English, French and in Hindi - based on Bhaktamar Stotra, and others. She has produced Documentary Movie on “A Tale of Jain Saint” and animated movie on Acharya Maantunga, the creator of Bhaktamar Stotra. She derives her energy, inspiration and enthusiasm from Bhaktamar Stotra and the Jain Philosophy of Life, Living and Curing. She is a noble soul - who has always done - Spiritual Healing and everything that she does - with a missionary zeal; in a selfless manner - to its utmost purity and perfection. Dr. Mrs Manju Jain born on March 25, 1968 and is the daughter of Dr. Jeevan Lal Jain and Mrs. Manorama Jain. 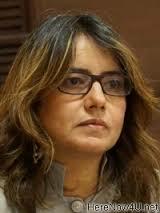 She is married to Sandeep Jain, Managing Director of Metalfab Hightech Pvt. Ltd., Nagpur manufacturing Wind Mill Towers. They are blessed with 3 lovely sons: Chaitanya, 16 years ( student of Bhartiya Vidya Bhavan, Nagpur ), Gaurang, 13 years ( student of Jain International School , Nagpur ) & Garv, 6 years - who is a student of Children’s Nook School, Nagpur. Dr. Mrs Manju Jain, right from her early childhood was educated in convent schools and it is noteworthy to mention that, she is a born leader. She is a Merit Scholarship holder all through her academic career. She has done her graduation in Science ( B. Sc. ) and post graduation in Business Administration ( M.B.A. specialised in Marketing ) from leading Institutions / Universities in India. 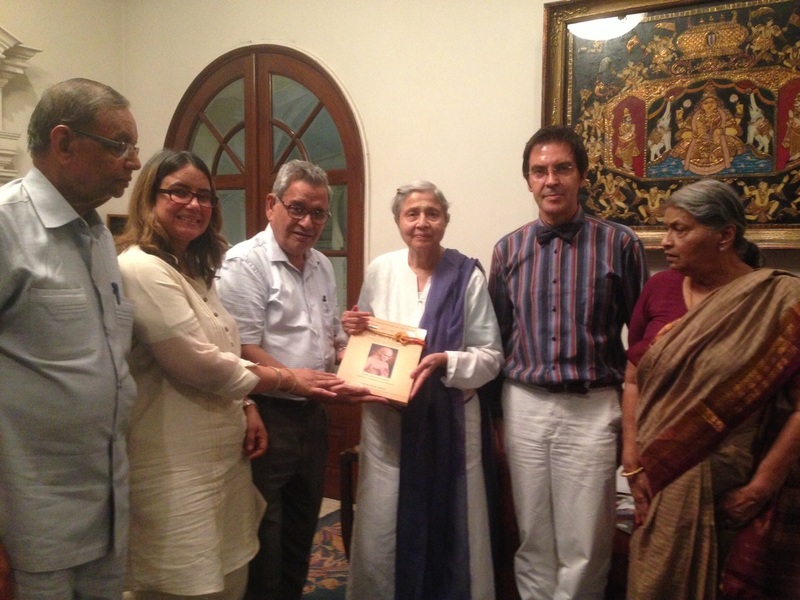 She has been awarded the Doctor of Philosophy ( Ph.D. ) on “Jainism Method of Curing, with special reference to Bhaktamar”, from Zoroastrian College, affiliated to : The Open International University for Complementary Medicines, Sri Lanka; to United Nations Peace University, Central America; World University, U.S.A; Moscow State University and others. 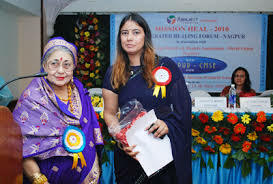 She has also to her credit many fashion shows with NIFD, Media, Hindustan Times, The Hitavada, Nav-bharat, etc., and is in the forefront of various cultural activities. She has also to her credit exports of designer sarees to Dubai, U.A.E. and Sri Lanka. She enjoys participating in all sorts of exhibitions like 'Brides & Grooms' at Hotel Taj-Delhi, Home Products exhibition organized by Society in Metros. Vocationally & business-wise, she is associated with Metalfab Hightech Pvt. Ltd. - where she initiated the certification ( 2007 ) and re-certification for ISO 9001:2008 from M/s F.Q.C. International in February 2011. She has undergone training for Lead Assessor from Quality Management Systems affiliated to International Certifications Ltd., U.S.A. She is looking after the proper implementation and functioning of the ISO 9001:2008 Systems - on a day to day basis - for quality and production systems of her Company. She got accreditation from National Accreditation Board for Testing and Calibration Laboratories, Govt. of India - for non-destructive testing laboratory of M/s Metalfab Quality Testing Lab, Nagpur. 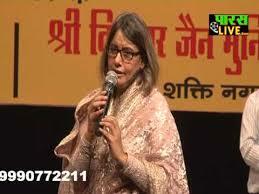 Dr. Mrs Manju Jain is above all a great spiritual leader and an untiring social worker. She has been associated with various social organisations in leadership positions and has undertaken numerous projects for the well being of the downtrodden and needy sections of our Society. She is a well wisher of every needy person - and - thinks and does good to the best of her capacities and capabilities. In a nutshell, Dr. Mrs Manju Jain is a noted Spiritual Healer; philanthropist and a wonderful person - who touches life, the best way she can.